Poco a poco, paso a paso. I suppose it is a mark of how life here has become normal and familiar, that in recent months it has only been my “escapadas”, or escapes, that have seemed to warrant a blog post. Daily life in Colmenar and Málaga trundles on. Half a week in the city, attending Spanish classes, helping my groups of Spaniards learning English, coffee with Jose, and a weekly meal out with Spanish “foodie” friends, discovering more fabulous restaurants. 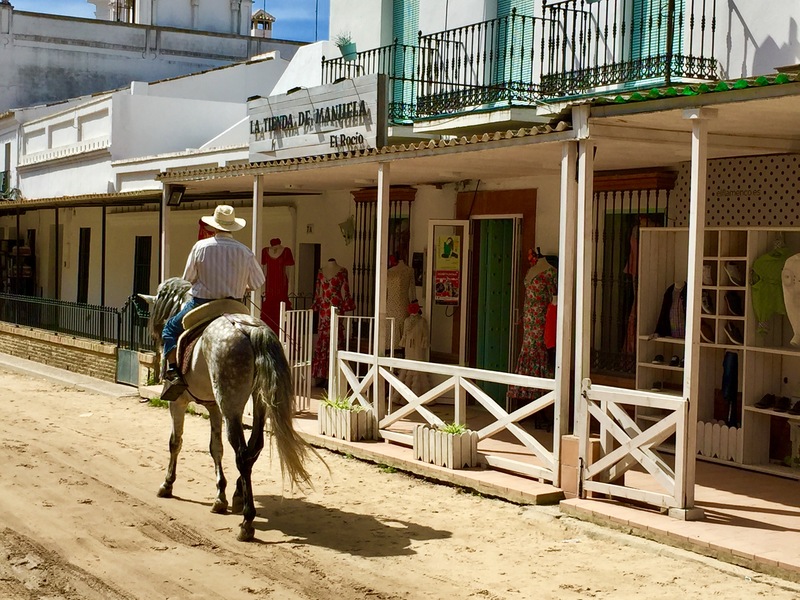 Half a week in the village, relaxing in pueblo life, coffee with friends or neighbours, joining in the oldies’ gym class, walking in the campo, shopping in the village shops, queuing at the ayuntamiento to sign up for the latest Junta-subsidised weekend away! Normality. My new normality. Not interesting enough to write about. But the out of the ordinary, yes. Exploring, travelling, that always throws up something of interest. 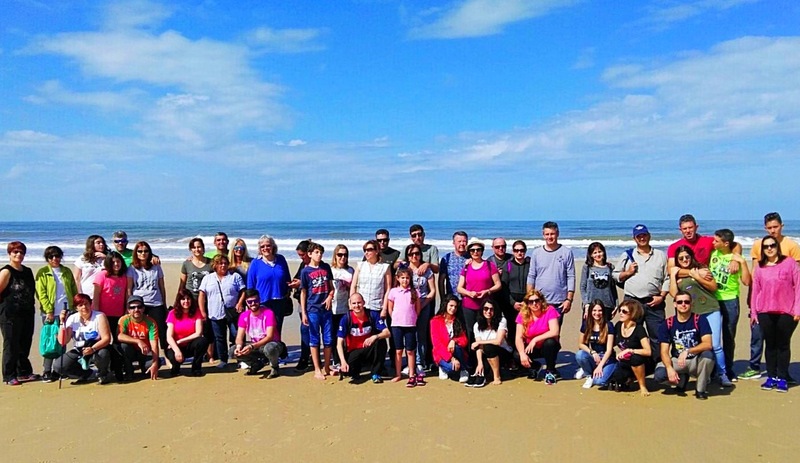 Last month a coach-load of Colmenareños piled onto a coach for a weekend in Doñana national park, in the far south-west of Spain. On the bus Baltasar explained the approximate timetable, the arrival times (más o menos – more or less) and departure times (más o menos). He added for my benefit that we would be on Spanish timings, not English ones, so the “más o menos” was important for me to remember. Thanks to an educational grant from the Junta de Andalucía, available for educational visits, our weekend programme needed to include some “culture” and education. 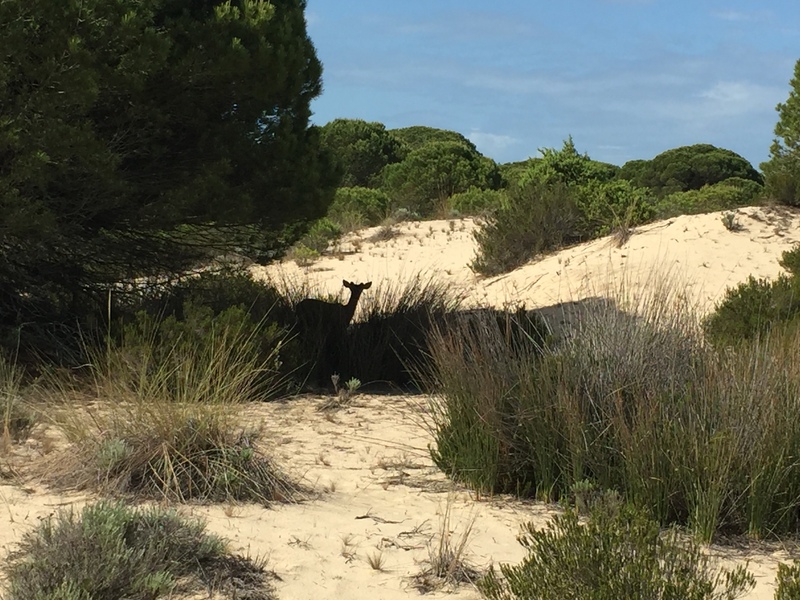 So on the first morning a string of four-by-four dune buggies pulled up to take us into the National Park, with commentary to explain the three different eco-systems of the dunes & beaches, the marisma (salt marshes), and the forest and scrub areas. We saw deer (ciervo), wild boar (jabalí), flamingos (flamencos) and storks (cigüeña). Sadly the rare lynx (linces) remained out of sight. We stopped to view a couple of large oval thatched buildings in the park. My Spanish neighbours were aghast at the roof and were muttering to each other about how it would let in water in the winter. I explained to them how it worked, and showed a photo of my thatched cottage in Dorset. 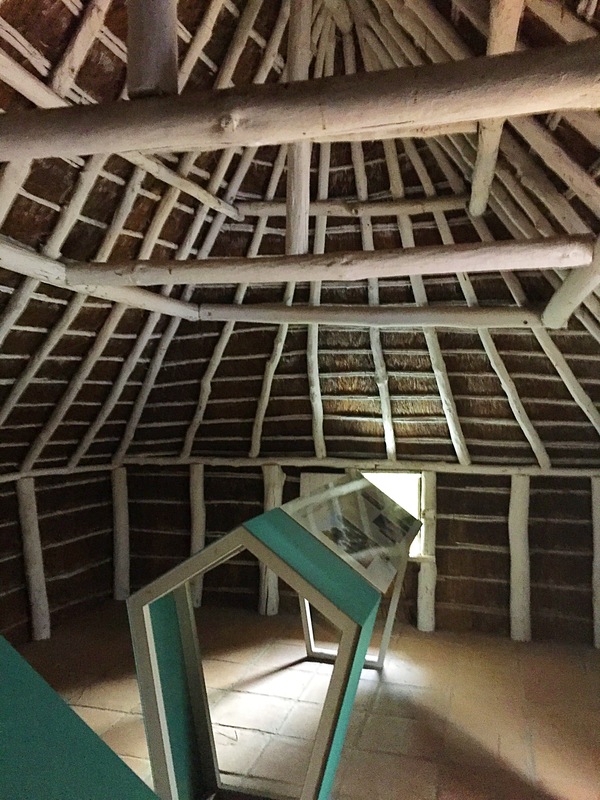 Some were impressed that the extranjera knew anything about countryside crafts, others seemed to feel sorry for me, living in a house without even a proper roof. 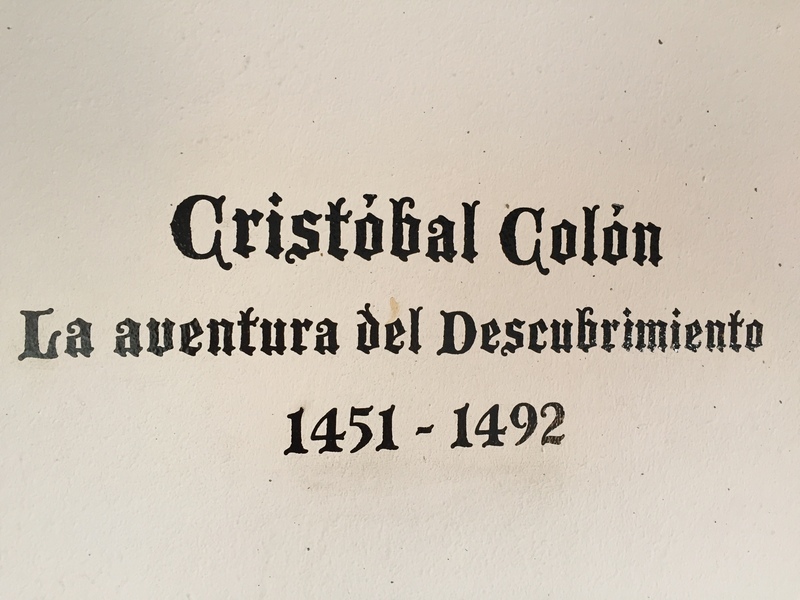 The next day we went to el Monasterio de La Rábida, pretty much a museum of Christopher Columbus (or Cristobal Colón, as he is known here). And it’s not just his name that is different. This was meant to be an educational part of the weekend, and what I learned is that what we learn at school is filtered through our own national perceptions, and through the “truth filters” created to suit each country. 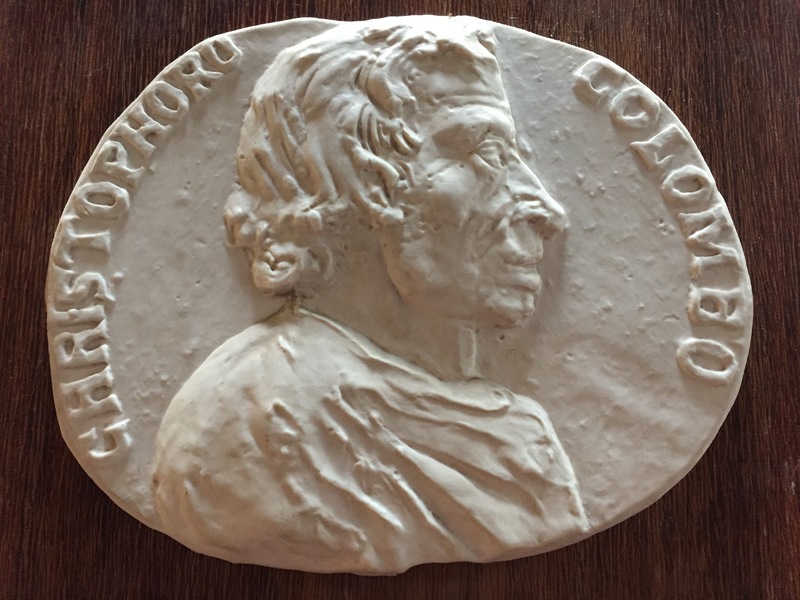 Turns out that Columbus was Italian, born Cristoforo Colombo. I’m not sure I knew that! He moved to Portugal as a teenager, then to Huelva in Spain, and ultimately set off on the voyage of 1492 from Palos de la Frontera, near the Monasterio. Our guide in La Rábida asked lots of questions of our group, and received answers chanted back to her as though we were a school group. It seems that this part of history is taught with vigour in Spanish schools! Far more so than in British schools. I had an incorrect half-formed idea that Queen Elizabeth 1 had part-funded his journey, whereas in fact she was not the monarch at the time he sailed, it was Henry VII. Chatting to our village’s mayor as we were leaving, he seemed surprised how little I had learned as a child about this massively important part of Spain’s history. I didn’t like to tell him it was probably the only thing we HAD learned that even mentioned Spain! On the final day we visited El Rocío, where the country’s biggest romería ends up (a romería is a pilgrimage on horseback). The village has no concrete or tarmac, and is covered with sand. Instead of angled car parking spaces, there are wooden rails for tying up horses. It’s a fascinating, memorable place to visit – surprisingly I was almost the only one of our group to have been there before. Another example of the incomer exploring more than the locals do. Then the coach whisked us back to Colmenar. Gracias a la Junta de Andalucía for the subsidised holiday! Oops, I mean the fascinating educational visit! And we were back to sleep in our own beds again. Travel is a wonderful thing. It opens your heart and your mind and makes you understand and appreciate difference. Coming home, on the other hand, fills your heart, and makes you appreciate the familiar. This entry was posted in Spain and tagged Andalucia, Christopher Columbus, Colmenar, Doñana, El Rocío, Huelva, National Park, romería, Spain by tamaraessex. Bookmark the permalink. Always very interesting Tamara. I look forward to all your blogs. Keep them coming. As one who’s family originated in Spain your blogs never fail to interest and amuse us so we try to visit Spain whenever we can and you give us so many leads on interesting places to visit away from the touristy areas. My family tree goes back to the 1700’s and luckily we have been able to catch up with many distant relatives over the years and will be attending a nephews wedding in Malaga Cathedral in September when he marries his Spanish girlfriend.